Abstract: Electricity market price predictions enable energy market participants to shape their consumption or supply while meeting their economic and environmental objectives. By utilizing the basic properties of the supply-demand matching process performed by grid operators, we develop a method to recover energy market’s structure and predict the resulting nodal prices as a function of generation mix and system load on the grid. Our methodology uses the latest advancements in compressed sensing and statistics to cope with the high-dimensional and sparse power grid topologies, underlying physical laws, as well as scarce, public market data. Rigorous validations using Southwest Power Pool (SPP) market data demonstrate significantly higher accuracy of the proposed approach when compared to the state-of-the-art industry benchmark. 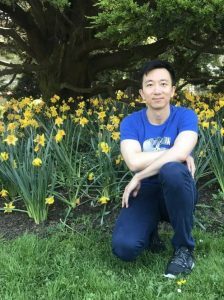 Bio: Bokan Chen is currently a quantitative analyst at Google. He works on forecasting Google’s power demand and other energy related projects. Bokan graduated from Iowa State University in 2016 with a Ph.D. in Industrial Engineering (Operations Research). His dissertation is on the application of optimization under uncertainty methods on power system planning.